WALK IN AND FARM!!! STAP IN EN BOER!!!!!!!!! 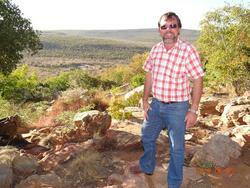 980 hectares Farm Situated in the vicinity of Tuinplaas ,Limpopo Province, South Africa. The Springbok Flats , Well known for it's fertile soils and sweet pastures. This farm is situated in the middle of Modimolle, Mookgophong and Marble Hall. Everything needed is already on this farm, you can start farming immediately. All developments on this farm was planned professionally and the quality of all developments are done according to the highest Standards. •	5 hectares Pomegranate orchards - 1000 x Trees. (Variety - The Well Adapted "Wonderful") under drip Irrigation. •	25 hectares Pecan nut orchards - 2500 x Trees. (Varieties; Choctaw, Ukulinga, Wichita, Nevahu, Barton, Pawnee) under drip Irrigation. All trees well planned and adapted to the area. Trees Currently varies from 1.5 yrs - 2.5 yrs of age. Current Orchard estimated Value - 3.5 Million Rands. Current trends and market pricing indicates that these orchards can reach estimated values of R30 Million + in the next 5 years. Main House - Designed to easily convert into a upmarket Guesthouse/Lodge. Large Open Plan living area walking out on the patio looking over the beautiful bush veldt. Large Kitchen, Scullery and Laundry. Fully Fenced and equipped with necessary Security systems . 200m2 Face Brick building Surrounded by the bush veldt. Open Plan Kitchen and living room walking out on the patio. 1 x Study room with Separate Entrance. Large landscaped garden area . 3. Bush Log House/Hunters Camp. Open Veranda looking over the bush veldt. 4 x Staff Buildings - Sleep 14 - 20 Staff. Each Building with it's own Toilet, Shower & Basin. Each Building with It's own Kitchen & Zinc. Large Compressor with Spray gun Set and Inflators. All needed work shop tools ( Please refer to Inventory). Workshop Spares (Vehicle Spares, Fencing Materials, Piping Materials, Pump Spares, Irrigation Spares etc.). Guillotine Steel Cutter , Bender & Puncher. 1 x Newly constructed earth dam. 15 x Boreholes in Total. High Pressure Well Planned and distributed water distribution which covers 80% of the farm. 16 x Well Situated water troughs ensuring water points all over the farm. All troughs gravity fed from 30,000 Litres water Storage tanks. The Tree Orchards consist of it's own pump station for irrigation powered by pressure pumps. 3 Phase Eskom Power Supply. Power distribution to all needed buildings, warehouses and pump stations. 60KVA Back up Generator . 4 x Enclosed Transformers (Step Up & Step Down). .+- 300 hectares breeding camps, divided into 12 x Camps. Camps vary between 25hectares to 45hectares. All Camps have it's own water troughs. All camps 31 x High density galvanized Wired fence. (2.4m - Fence Height). All camps have gated access. Animals can be moved from any camp via the camp layout without the need for a veterinary or helicopter. Camps can also be used for Stud Cattle Farming. 1 x Well Constructed Conveyer Boma. This farm Consists of mainly Flat Typography with slight slopes. Altitude vary from 975m - 1015m above Sea Level. The Farm roads give good access to all sections of the farm. The farm consist of several kilometres well maintained roads plus plenty of additional and easy accessible game and cattle trails. The Springbuck Flats are well known for their beauty after the rains and during the rainy season. Average Rainfall 550 - 650mm per Annum. Warthog, Bush pig, Aardvark, Jackal, Porcupine, Velvet Monkey, Steenbok, Duiker, Chacma Baboon, Bush Baby, Scrub Hare, Mongoose, Squirrel, Caracal, African Wild Cat, genet etc. *The Seller and/or the Estate Agency does not guarantee these numbers. The game count will have no affect on the Purchase Price. Welders, Grinders and lots of other power Tools. Furniture in houses included in sale ..
1 x Automated Entrance Gate. This is an inside farm, making this a much safer farm and not next to any main roads. MAKE SURE YOU ARE A QUALIFIED BUYER!!!! THIS PROPERTY IS FOR INTENSIVE FARMING, NOT A PLAY STATION!!!!! !